One of the towering figures in the history of Belfast Celtic has been remembered by the Irish Football Association. 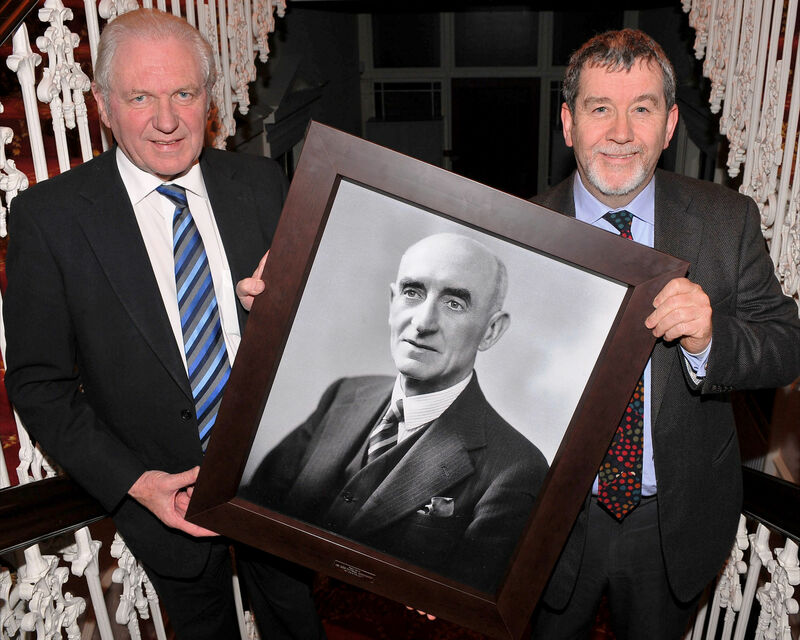 Austin Donnelly, President of the Association between 1945 and 1948, has re-taken his place in the IFA Boardroom as his portrait was hung at Windsor Avenue on Monday, December 19th 2011. Representatives of the Belfast Celtic Society were invited to the IFA Council Meeting where Donnelly was included in an historical portrait gallery with the Association’s other 11 Presidents. And as it was Christmas, the IFA had a gift – an identical portrait which will hang in the Belfast Celtic Museum, when it reopens in the New Year. The current incumbent, Jim Shaw, recalled his predecessor in a wonderful tribute provided for the Council by veteran journalist Malcolm Brodie. 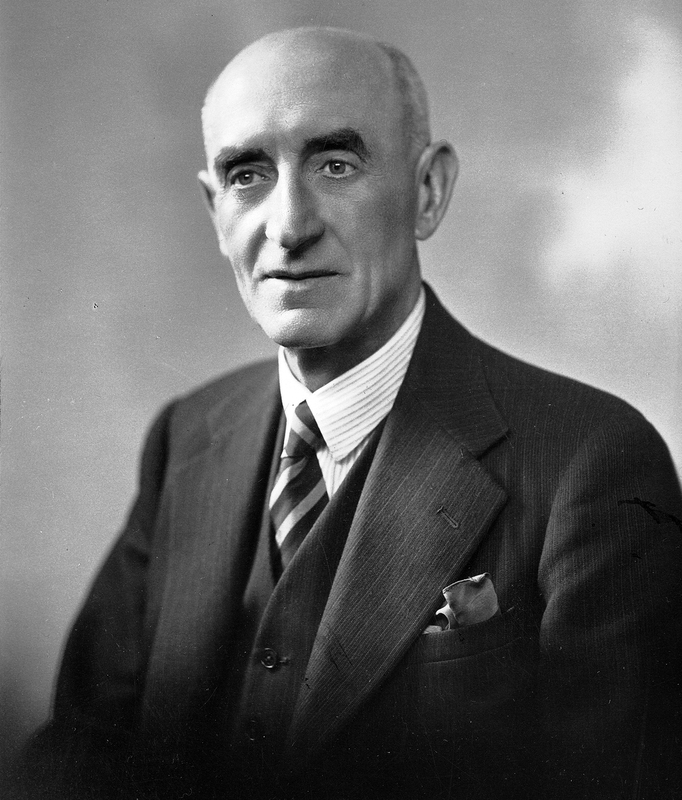 Chairman of the Board of Directors at Celtic from 1938 until the team went out of football in 1949, Donnelly was a pivotal figure in the history of Celtic. Starting as a goalkeeper in the early 1900’s, the club’s official history records him playing in May, 1908 in a team which also included legendary Glasgow Celt Willie Loney, who, along with another Glasgow legend of the day, Jimmy Quinn, came to Belfast for a benefit game for Hugh Watson and James Diamond, players who had broken their legs that season. Over a decade later Donnelly would build a unit of footballers the like of which Irish football had never seen. In the Anglo-Irish war years of the early 1920’s, Belfast Celtic withdrew from football. Manager of Belfast Celtic, early 1930's. In 1924, repeated deputations from the IFA extolled Celtic to return and the Board of Directors which kept the club afloat during these years through the hosting of events like athletics, boxing, cycling and whippet racing, finally relented. Celtic was back in football. Unanimously, the Board voted to invite Austin Donnelly to take the reigns of the team and he would go on to build a squad that would sweep every team before it in the late 1920’s. His ‘wonderfully persuasive way’ brought signings like the ‘Famous Two Mahoods’, Jack and Stanley. Bob Ferguson, Captain Sammy Moore and his youthful protégé Bertie Fulton. ‘Blind’ Sammy Curran would be another incredible addition, while former Belfast Celts Jimmy Ferris and Mickey Hamill came back home from abroad to ply their trade for Donnelly’s ‘Stripes’. His team swept the boards, hoovering up the Irish Cup, the Gold Cup, the City Cup and in four seasons (1925 – 1929) they won the league consecutively – losing only one game in the process. He continued on at the helm until the mid-1930’s, unearthing gems like Jackie Brown, Davy ‘Boy’ Martin, Tommy Lavery and the child-starlet Norman Kernoghan, until his contemporary Elisha Scott, who had also returned to pull on Donnelly’s green jersey in his old position of goalkeeper, replaced him in the Celtic manager’s office. When Hugh McAlinden passed away in 1938, Donnelly ascended to the Belfast Celtic hotseat, taking the reigns of the club as Chairman.Scott’s powerhouse team flourished under Donnelly’s Chairmanship and he navigated the passage of the club during World War Two. It was a colourful time for Celtic, with the flotsam and jetsam of football talent flowing through Belfast in the form of journeymen players. Former England manager Ron Greenwood played in Donnelly’s position in goal during that time and a youthful Tommy Best, Ireland’s first black footballer, also pulled on the Celtic Stripes while a pencil legged wing wizard called Charles Patrick Tully also entered the books at Celtic Park during Donnelly’s time in the Chair. 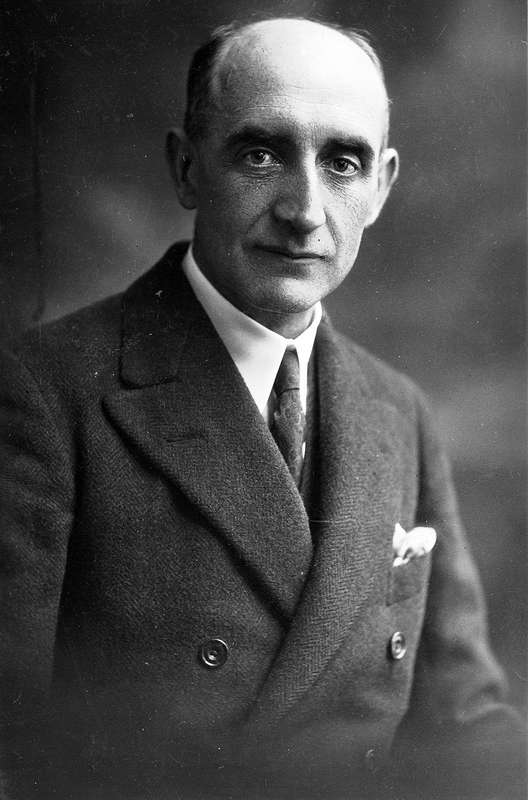 His invitation to become President of the Irish League in 1945 was accepted and Donnelly helped re-build the league from the blitz scarred ashes of the war. It would have been a particular source of pride to Donnelly when he handed over the Irish Cup to his own club in 1947, as Captain Harry Walker raised the trophy after the youthful Tully had fired Celtic to a win against Glentoran. As Belfast Celtic began to draw its final breaths, Donnelly remained at the helm and was party to the decision to withdraw the club for the last and final time in 1949. IFA President Jim Shaw, (left) presents Belfast Celtic Society Chairman Padraig Coyle with a replica portrait of former IFA President Austin Donnelly, which will be placed in the Belfast Celtic Museum when it re-opens in the new year. He led the Director’s vigourous protests after the riot at Windsor Park on December 27th, 1948 and led the team to America in the summer of 19’49 for their triumphant final farewell. Donnelly’s evergreen sense of fair play still shone through in the States, even though he knew this would be his team’s final fling. In a game at the Detroit University Stadium, in front of 4,000 fans, Belfast Celtic were running out easy winners against a Dave Kennedy Select side. Naturally, he would have also revelled in the display his charges put on when they cuffed the Scots national team 2-0 and while Belfast Celtic slipped quietly into history, the clamour and racket of the cheers rising from the massed thousands of followers packing the old Willowbank Stand during Donnelly’s time in charge of the Stripes still echoes down the years. The Belfast Celtic Society would like to thank Jim Shaw, Patrick Nelson, Michael Boyd, Maria Wilson and all on the Council of the Irish Football Association for marking the life of Austin Donnelly. Thanks also go to Paul Carson from the Belfast Telegraph Library for his help in sourcing Austin Donnelly’s images.